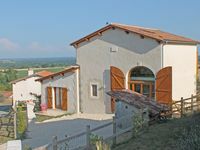 Properties in Aubeterre-sur-Dronne average 4.7 out of 5 stars. Property 10: Family Holiday Hamlet - Heated Pools, Golf, Tennis, Creche, 10 mins to beach! Property 16: Stunning gites with pools and tennis near Aubeterre. Property 19: Family Holiday Hamlet - Heated Pools, Golf, Tennis, Creche, 10 mins to beach! Property 20: Family Holiday Hamlet - Heated Pools, Golf, Tennis, Creche, 10 mins to beach! Property 21: Family Holiday Hamlet - Heated Pools, Golf, Tennis, Creche, 10 mins to beach! Property 22: Family Holiday Hamlet - Heated Pools, Golf, Tennis, Creche, 10 mins to beach! Property 26: Family Holiday Hamlet - Heated Pools, Golf, Tennis, Creche, 10 mins to beach! Property 32: Family Holiday Hamlet - Heated Pools, Golf, Tennis, Creche, 10 mins to beach! Property 33: Family Holiday Hamlet - Heated Pools, Golf, Tennis, Creche, 10 mins to beach! Property 34: Family Holiday Hamlet - Heated Pools, Golf, Tennis, Creche, 10 mins to beach! Property 37: Family Holiday Hamlet - Heated Pools, Golf, Tennis, Creche, 10 mins to beach! Property 40: Family Holiday Hamlet - Heated Pools, Golf, Tennis, Creche, 10 mins to beach! Property 42: Jardin Cottage at Chez Maurit, 2 en-suite bedrooms, TENNIS court, superb views. 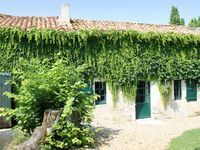 Property 43: Moyen Cottage at Chez Maurit, 2 bedrooms, TENNIS court, superb views. Property 44: Bas Cottage at Chez Maurit, 2 bedrooms, TENNIS court, superb views. Property 47: Family Holiday Hamlet - Heated Pools, Golf, Tennis, Creche, 10 mins to beach! Property 49: Family Holiday Hamlet - Heated Pools, Golf, Tennis, Creche, 10 mins to beach!